Idea #20 for Zentangle: Tangled & Journaled Too, Facebook group. 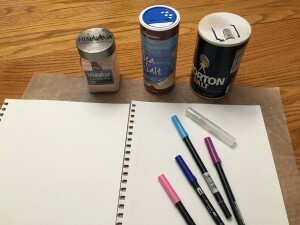 Jane asked me to post a tutorial on using Tombow markers and salt. I’ve also used Dylusion sprays with salt on the last two images. 2. Using your Tombow markers color several colors in any way you’d like. 3. 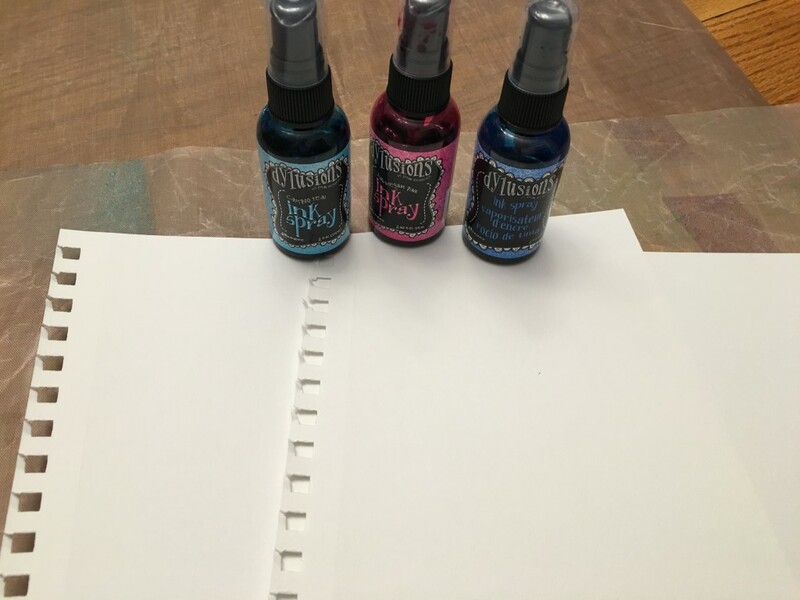 Spritz water with the mister or a spray bottle and let your paints run or move around. 4. 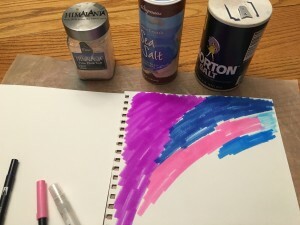 Sprinkle paper with salt. I tried several different salt, coarse, fine, whatever I had on hand. 5. Let the salt make move the paints around. 6. If there is too much water dab it with a paper towel or use a heat tool to dry your paper. 7. When dry, wipe the salt off the paper. 8. 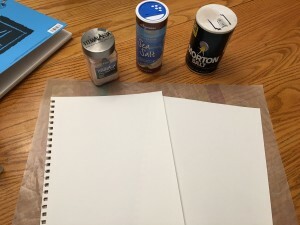 Use the paint lines as strings and tangle away. 9. Use Tuesday Tangles for some added fun. 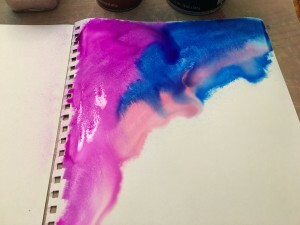 Spritz water over colors, let run or drip. 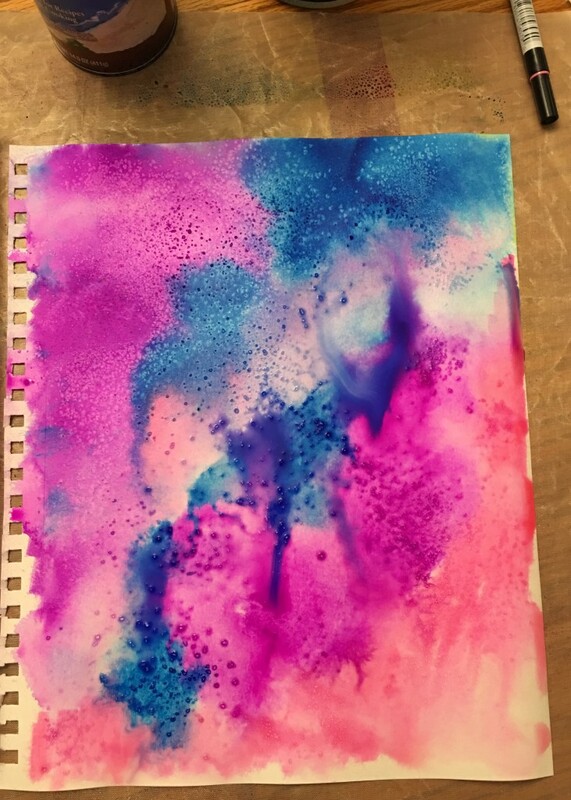 Add more color and water as desired. Spinkle salt over colors and let sit for a while. 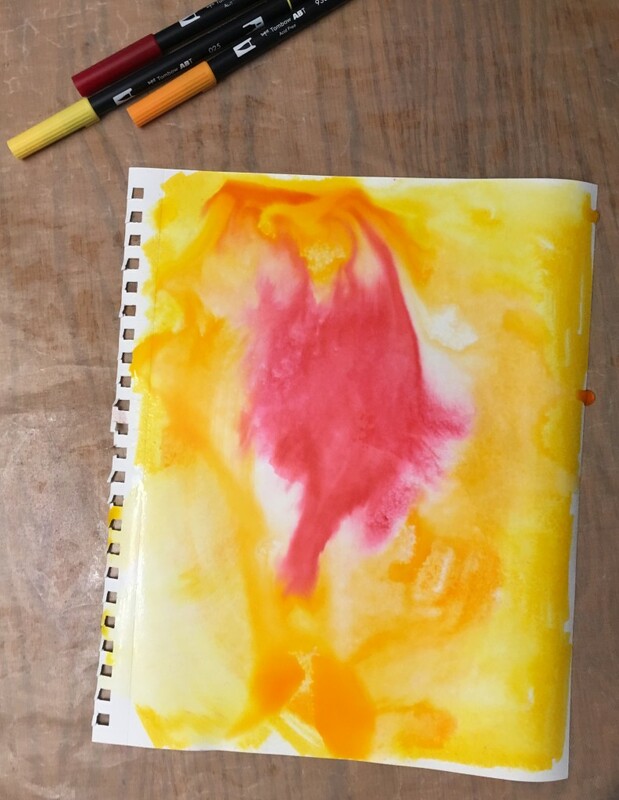 Try different colors on other papers if you want to play around some more. Try the same technique using Dylusion sprays. I did the spays on on sheet and placed another sheet on top then added salt to both sheets. This made a cool reflection look for the pages. 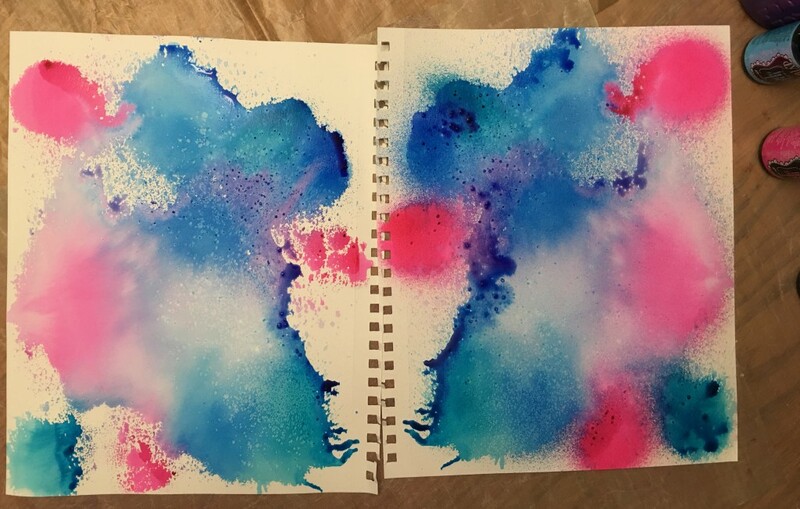 4 sheets all using the same technique with different painting medium. 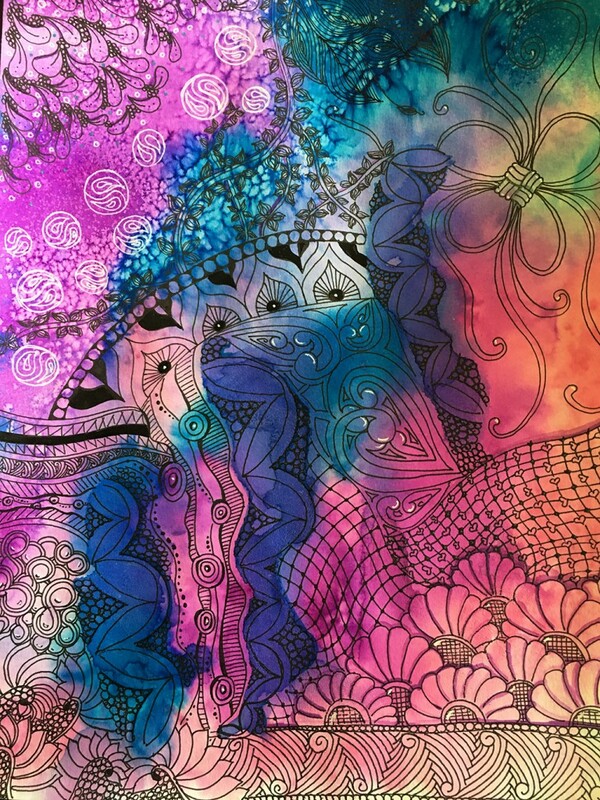 Add tangles – have fun!